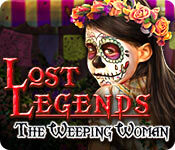 Lost Legends: The Weeping Woman is rated 4.1 out of 5 by 25. 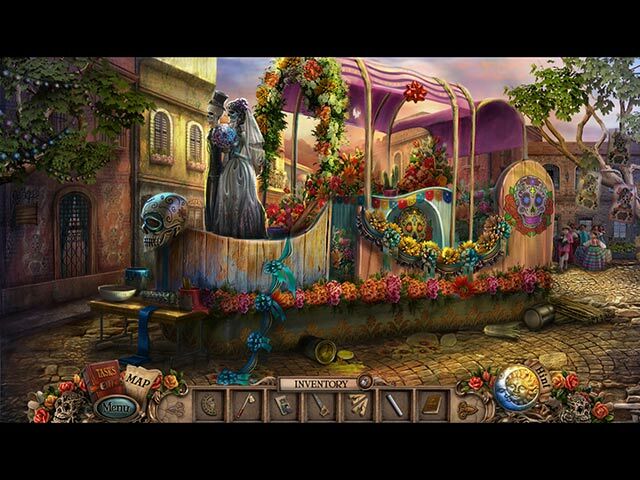 Rated 5 out of 5 by SlvrQ1 from Lost Legends: The Weeping Woman I have gotten so bored with the same old games and either get stuck right away or they are too easy. This one was engaging. I couldn't stop playing. Had to buy it. I recommend this game. Rated 5 out of 5 by tonjadillard from Bright and colorful I really liked this game. I wish there were more about Mexico. The scenes were bright, colorful and pretty. I get pretty tired of the dark, depressing rainy gothic all-in-the-castle games. I´ve done tons of them. These games were different too. Fun game. Rated 5 out of 5 by Kimmycoo from FANTASTIC STORY! I just love the story line. It is about the Weeping Woman coming to steal the children of a Mexican town because she had lost her 2 children to her husband long ago, as when he left her, he took them to raise with his new woman. She killed herself from the grief. Now in the present day, children are disappearing and the town folk think she has come back to exact vengeance. I LOVED the beautiful town, the awesome characters, the graphics were gorgeous, voice overs were great as they had Mexican accents, the game play was a lot of fun. I couldn't wait to get into scene after scene as the game progressed, so that I could see how beautiful each would be. I highly recommend this game! 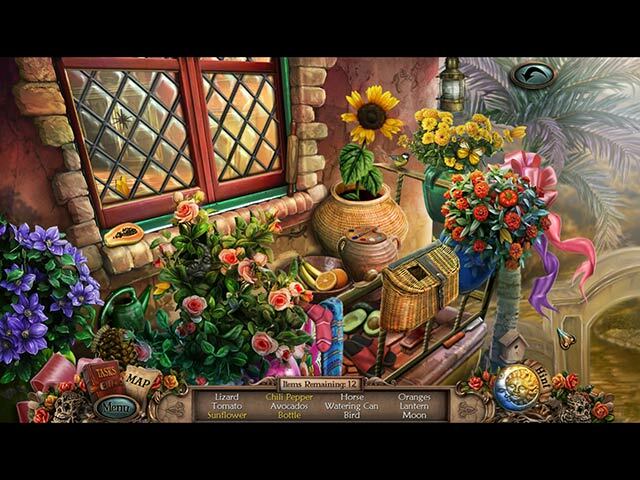 Rated 5 out of 5 by queenjanis from Lost Legends: the Weeping Woman I agree, the game features ; "Game opened in widescreen for me Inventory locks Choice of cursors Transporter map that you get a little into the game. Journal: Has your tasks and notes to help you along." Are very important to me, I do not like to drag, and drop from the inventory. Some times I wont buy a game if the inventory doesn't lock. I don't like the mindless mini games that have nothing to do with the story line. This game has very beautiful, and interesting graphics that I like also. Rated 5 out of 5 by hilamex from A new Twist on a Legend I grew up hearing stories about the "Crying Woman". What a delight to see the color and brightness that I have long sought in games right here on Big Fish! Loved the artwork, authentic designs and familiar legends in the story. The games were challenging and the HOPs were unique! A challenging, enjoyable, one of a kind game. Thanks! Rated 5 out of 5 by ruth63 from Easy for beginners I play in casual mode. This is a great game for anyone including beginners. If a hint is needed, it is very precise.Great storyline and graphics! 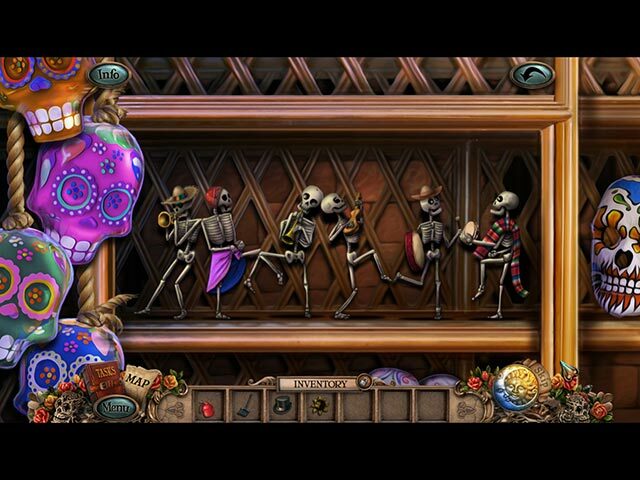 Rated 5 out of 5 by Shirleygames from Sit back and enjoy Review is based on playing SE addition Really loved this game! It is colorful with an wonderful storyline of an Mexican legend about a women married to a cheating husband who runs off with another woman taking his children with him. She in total desolation walks into the river. Then returns to take the village children. A yearly festival takes place each year to please the ghost from taking the children but still they disappear. You are a reporter trying to prove or disprove the legend. Graphics are vibrant and voice overs very good on cut scenes. A nice change from the dark and gloomy games. You do get a map that lets you teleport from one scene to another. Hint button when you are stuck is helpful. Three options for play mode. HOS scenes are fairly easy and interactive with some having mini puzzles within them. Other mini puzzles range from fairly easy to difficult and I did skip on a few. Good game for a beginner at casual level or a more experienced player in the harder modes.